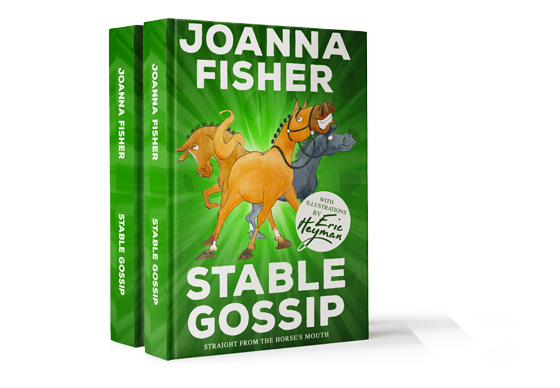 Stable Gossip is the ultimate collection of children’s stories involving horses. Unique in character and unrivaled, capturing life purely from the horse’s perspective and point of view. The Interview is the first in the series of children’s books from the “Stable Gossip” collection. Unique in character and unrivalled, capturing life purely from the horses perspective and point of view. 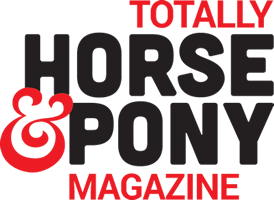 Its the perfect introduction to all the Horses. Nosey takes it upon himself to Interview all his friends, finding out some very interesting facts. What else could there be about his friends that he didn’t already know? Dinner Time is the second in the series of children’s books from the “Stable Gossip” collection. Unique in character and unrivalled, capturing life purely from the horse’s perspective and point of view. Meal times should be straight forward, but not always as the horses find out. Even the simplest things like having pictures taken can transform a day, as speculation takes over the conversation. Maybe bedtime will bring peace and quiet, or maybe not! The Field is the fourth in the series of children’s books from the “Stable Gossip” collection. Unique in character and unrivalled, capturing life purely from the horse’s perspective and point of view. Surely going out in the field could only mean relaxation? But who could have foreseen the huge herd of Aberdeen Angus waiting for the boys and girls. Can Nosey save the day and talk his way around this situation? 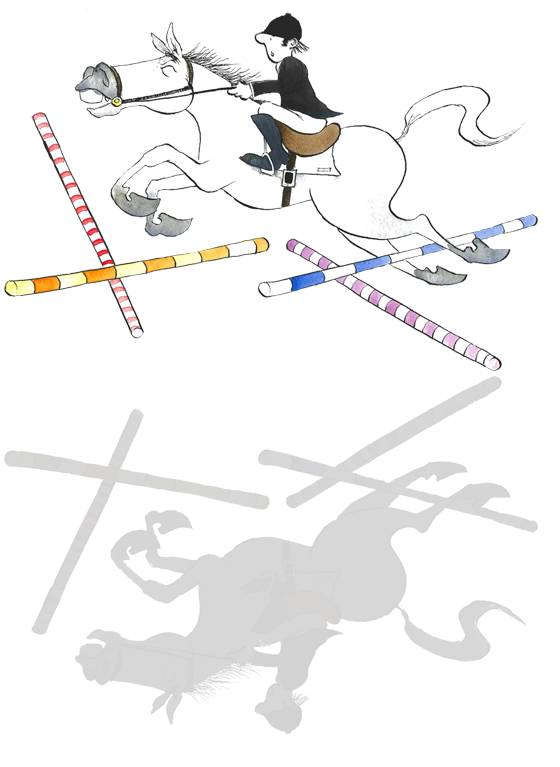 The Big Jump is the third in the series of children’s books from the “Stable Gossip” collection. Unique in character and unrivalled, capturing life purely from the horse’s perspective and point of view. When Charmeur is taken for his Show Jumping training, will Nosey’s Dressage schooling get in the way? It will take a lot of compromise if these two strong characters can work together in the riding hall. It will be a test of Stable friendship. 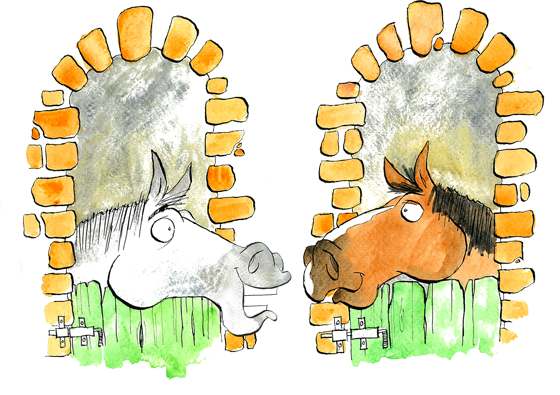 The Competition is the fifth in the series of children’s books from the “Stable Gossip” collection. Unique in character and unrivalled, capturing life purely from the horse’s perspective and point of view. Nosey and Coco have been preparing a long time for this day. What could possibly go wrong on Nosey’s first show. Sit tight in your saddle as anything is possible. Christmas Day is the sixth in the series of children’s books from the “Stable Gossip” collection. Unique in character and unrivalled, capturing life purely from the horses perspective and point of view. A day where songs are sung, presents are given, a day of peace, quiet, calm and rest. But this is Nosey’s yard, or so he thinks, so none of the above apply. What will Christmas day bring?